Here’s another imperfect photo, but I still love it. Aidan is blinking, Ryley’s hair looks like a LEGO minifig wig, and Sam is being simply Sam. They are my three oldest, born within three years, and I wouldn’t change one thing about them. 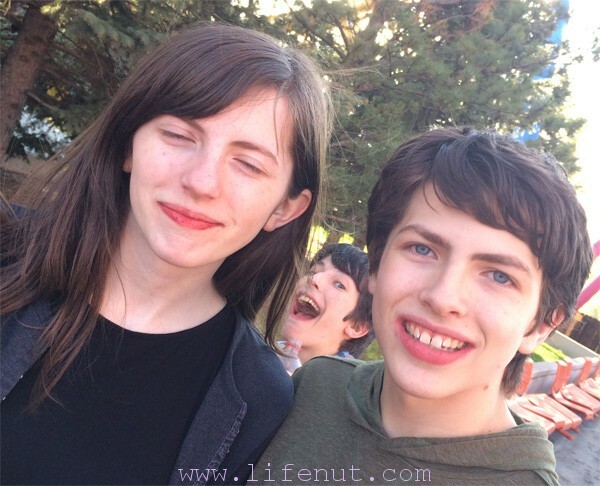 The photo was taken during our recent trip to Elitch Gardens. I stayed on the ground and watched them zoom around strapped to gravity-defying contraptions. Bigger kids, bigger fun.